Niagara College is located in the Heart of the Niagara Region – just minutes from one of the world’s most well-known tourism destinations. 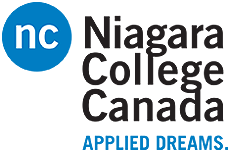 Niagara College offers more than 130 innovative programs between our state-of-the-art campuses in Welland and Niagara-on-the-Lake. Together our campuses provide unique living laboratories and top notch facilities that deliver hands-on applied learning opportunities; world-class applied research; and smaller class sizes delivered in an intimate and friendly environment.